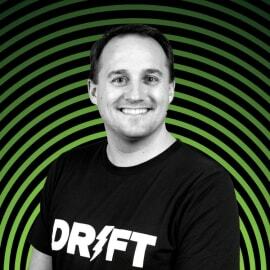 Mark Kilens is VP of Content and Community at Drift where he leads the blogging, editorial, social, and events teams. Prior to joining Drift, he served as VP and founder of HubSpot Academy. As an enthusiastic former customer, Mark joined HubSpot in 2010 as an Inbound Marketing Consultant, where he spent two years working with thousands of HubSpot customers to scale their inbound strategy. From there, he went on to build HubSpot Academy from the ground up, and in doing so, educated millions of people and created a best-in-class hub for marketing and sales content and training. When he’s not at Drift, Mark enjoys plenty of steak and lobster, a round of golf or two, and loves being on snow or in the ocean. The way that we have been doing sales and marketing was perfectly suited for a world that no longer exists. Today, buyers have all the power — and whoever makes it easier to buy — wins. That's why conversational marketing was created — to provide a real-time, personal buying experience that your customers expect today. With conversational marketing, chatbots use a 1:1 approach, resulting in a drastically shortened sales cycle that delivers on your marketing goals.